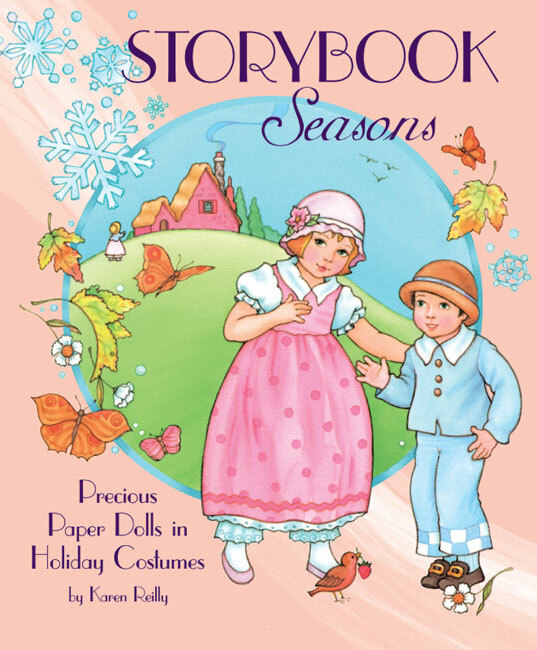 Paper dolls clean house in a charming article from Marilyn Henry showing our little paper friends scrubbing, dusting, washing, ironing, vacuuming and cooking. 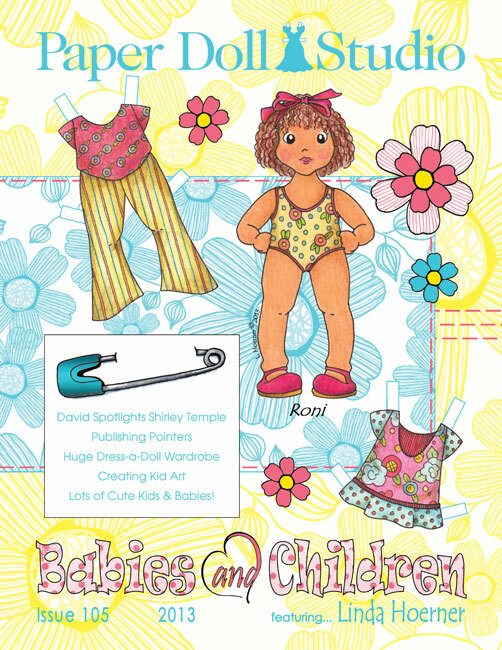 And then our paper dolls look after sick patients in "Let's Play Doctor" books, sets and magazine sheets. 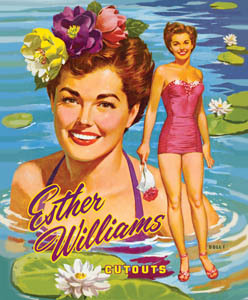 Marilyn also presents a unique book from 1941 called "The Big Big Cut Out Book," which is really three books in one. 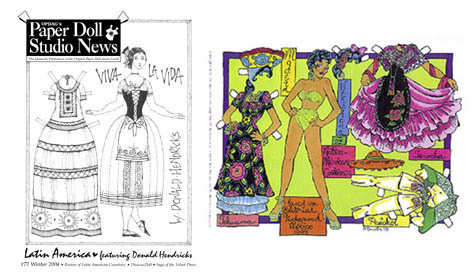 We feature two classic paper doll book artists, Florence Sarah Winship and Ruth Ruhman. 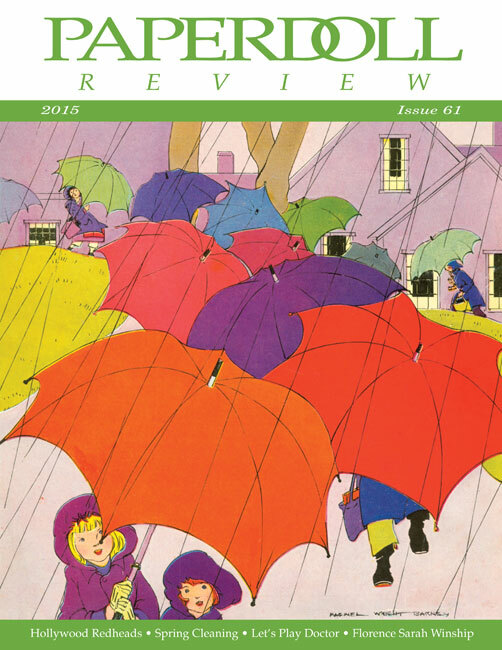 And we have lots of news on our Readers Page with costume exhibit reviews, paper doll party reports, paper doll auction results and much more. 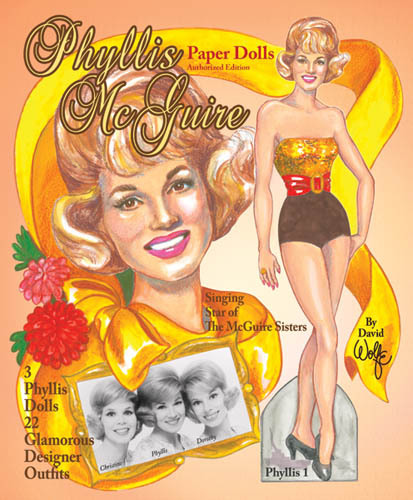 David Wolfe puts the spotlight on the Hollywood redhead we loved on the big screen as well as in paper doll books including Greer Garson, Jeanette MacDonald, Rita Hayworth, Lucille Ball, Myrna Loy, Rhonda Fleming and many more. 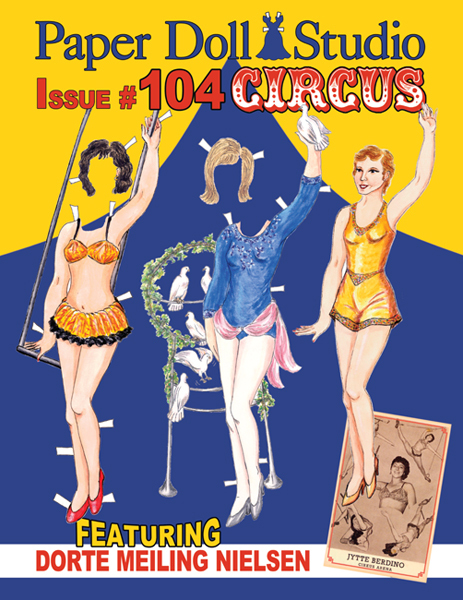 Susan Hayward is featured with an article about her early career as a fashion model, as well as a 2-page full color paper doll by David Wolfe. 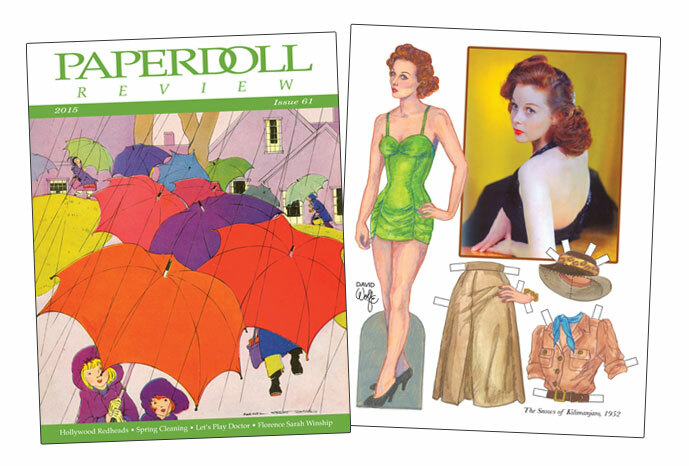 There are many more fun finds in this much-anticipated issue of Paperdoll Review!